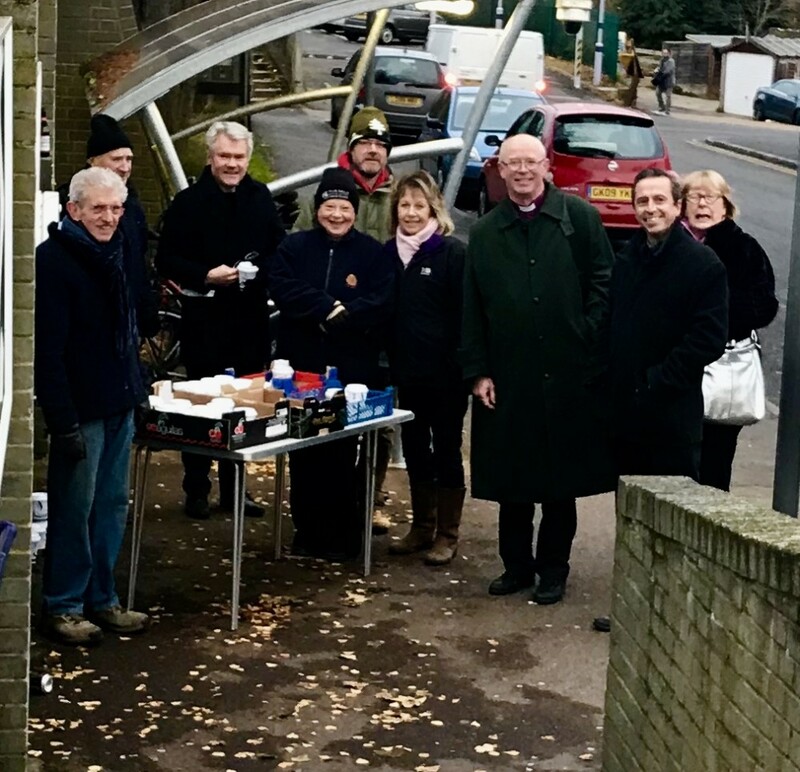 On Wednesday 29th November, as part of his visit to Cobham Deanery, Bishop James spent an hour with a hardy team giving complimentary coffees to commuters at Longfield railway station. In total 100 coffees were given out, supplied by local cafe ‘Dolly’s Diner’, between 0730 and 0830 in the morning. Many of the commuters said they were pleasantly surprised to be offered the drinks on such a cold morning. One even took the trouble to send a ‘Thank you’ email to Longfield Church’s website. Later in his visit, Bishop James said that this had been the first time he had been involved in this form of engagement with those who commute by rail from our diocese to work. The organisers of the event, The Revd Jim Fletcher and The Revd Dylan Turner (both from the Rural North West Kent Group) said that they were delighted that so many joined them to help ferry the coffees across the road and distribute them. So successful was the event that they will be exploring opportunities to repeat this successful venture in the future. They would certainly encourage church communities who have stations on their patch to consider doing something similar.